Keeping clear and accurate records of your IP assets is more easily managed as an on-going activity, whereby updates are made to IP records as IP advances are made. 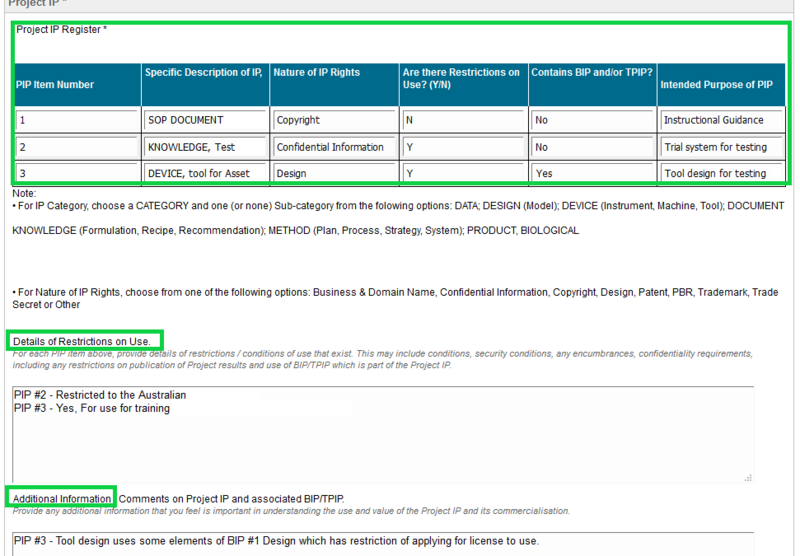 As project milestones or outcomes are discovered, it is important to capture this IP as it is created. For IP protection rights and future customisation potential, details such as knowledge of IP creation dates as well as the investigating party are crucial. The value in having an appropriate IP management system to allow easy capture of research outcomes across R&D teams and an organisation is rarely over-estimated. Further support as to why there is a clear need to use IP Registers and a central IP management system/database is given in our website article, Understanding Your IP Rights. At IP Active, our team works with each client to develop custom IP Registers, on-line IP management systems and train staff in IP identification, storage and analysis. Analytics data reporting and analysis tool to enable new data insights previously not obvious. IP Active studied several IP Management systems and determined the IP solution provided by Inteum as the platform of choice for RDC’s and Universities. When first adopting any IP Management System, the out-of-the-box solution uses generic formats, terms and labels for all the IP management components. 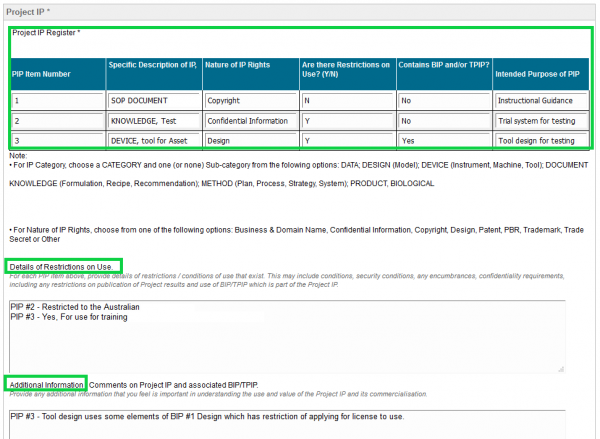 Data fields are re-designed according to client needs as seen by comparing item 3 above and the example below of a client’s disclosure form after customisation by IP Active. Note the change in colours and content of the indicated data fields. Within the Researcher Portal, each data field listed above can be expanded to show further details that may be requested for each project submitted via the Portal. 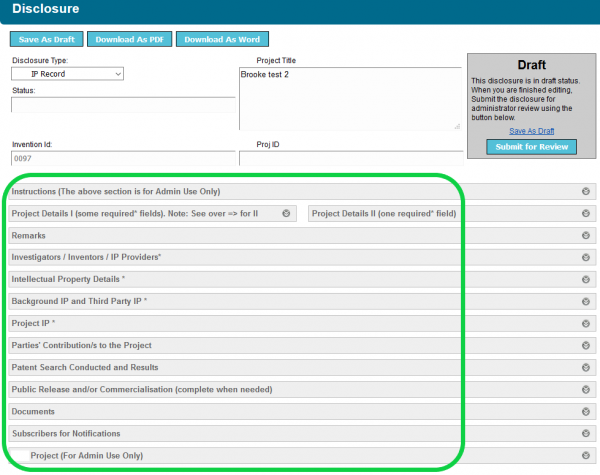 The table shown below provides the details of one data field after being expanded, that of the Project IP Register. The IP Register shown above is an example of the final outcome delivered by IP Active after extensive interaction between the client and IP Active. Initially the client’s paper-based IP Register, saved as word documents was used as the template to design and create the format of the Portal IP Register. An IP Management system needs to be a living growing entity, allowing on-going customisation of each component to be updated to meet a client’s changing needs. 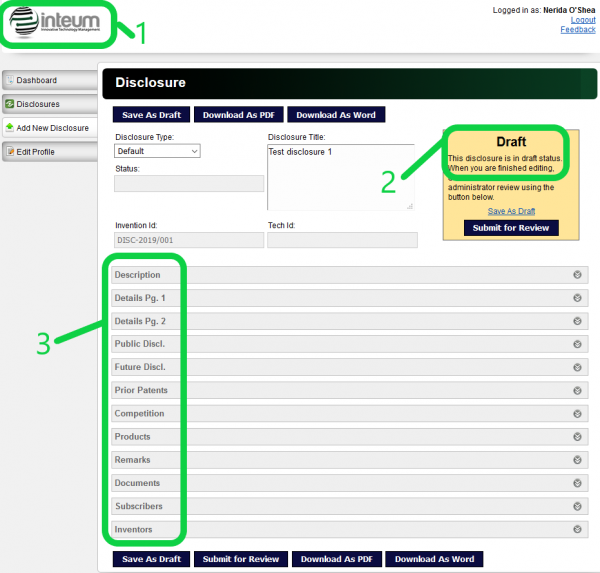 With IP Active’s assistance, the client Portal component above was modified over time to encourage clear and easy use by the Researchers to submit required data. The IP Active Team have experience in designing, creating, making on-going improvements and training in the use of client IP solutions. Using this experience, IP Active can customise an IP management system to meet the needs of any organisation.